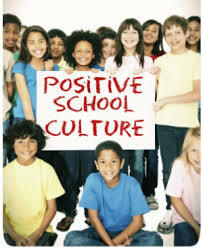 Promoting Positive School Culture – N. Kristina Leyva, Ed. S.
Staff-student relationships influence everything—from the social climate to the individual performances of your students. 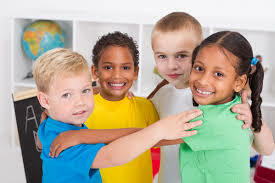 When students feel as though they are liked and respected by their teachers they are more likely to be academically successful and abide by school rules and regulations. Relationship building needs to be the foundation of the school and a whole school priority. 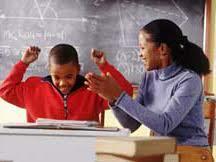 We do this by allowing teachers to have time to speak to their students both in and out of class. We encourage our teachers to genuinely bond and share, creating a culture of trust and acceptance. The more we invest in our students, the more success, happier, they will become. Model the how to share, to listen, and how to disagree respectfully. We must set the standards we wish for our students to emulate. Additionally, we cannot hold students accountable for characteristics they may have never been taught or learned. Behaviors such as honesty, sensitivity, integrity, and respect should be treated like any other academic offering. As a staff, we can create a positive developmental impact by helping our students become cognizant of their behaviors and choices. 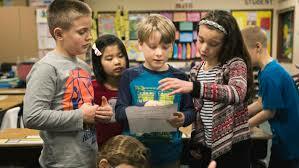 Part of a positive culture includes having a shared vision, goals, and a set of rules that define students behaviors and how they are meeting them. When students feel that rules serve a distinct and reasonable purpose, they are more like to follow them. Concurrently, when rules are applied fairly and consistently, behavioral issues occur less frequently. Have a behavioral matrix posted in plain view, that clearly articulates in student-friendly language behavioral expectations and consequences helps students understand what is expected of them and helps staff remain consistent and fair when dealing with students issues and discipline. Kids don’t care what you know until they know that you care. Many of our students, especially those who struggle, don’t receive nearly enough positive feedback in the classroom or in their personal lives. Praise and reward students for making good choices, for demonstrating citizenship, or displaying great character. Compliments should be specific to the behavior or it means nothing to the child. 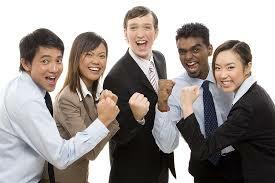 Additionally, praise students, even the overachievers, for their accomplishments. Students need to be recognized for their hard work, it builds self-esteem and encourages them to continue with excellence.